There has been much talk about the rest of the world’s ability to produce/use bamboo. Let’s not count the United States out yet. The Black Belt Region has always been great at agriculture. Now a very unique opportunity exists, bamboo. Phyllostachys Edulis or Moso bamboo, the species used in China for everything from construction to power production can only be grown to maturity in the margins of climate zone 7 and 8. The best place in the United States to grow this plant lies in the best soil in this climate zone – which is the Black Belt region of the southeast U.S. This unique opportunity can allow for domestic growth and production of so many products that we already import from China. Bamboo has a variety of applications. It is a woody plant that can replenish itself quickly. Primary bamboo products are timber substitutes (e.g. bamboo flooring, paper, and furniture), cotton substitutes (e.g. clothing, sheets) and food (bamboo shoots). Some additional uses are activated carbon, fodder, charcoal, bio-energy, reinforcement in structures, medicine, etc. It is also desirable in its natural state for privacy plants or harvested poles. 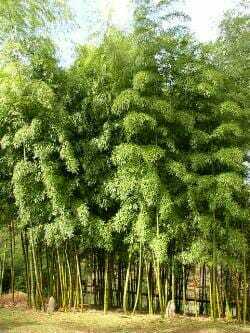 Bamboo also provides a higher rate of exchange of carbon dioxide than trees. Asian nations have used bamboo in its culture for years instead of trees. However, many Western cultures are not set up to manufacture bamboo like the Eastern cultures. This should be a changing trend over the next decade as the world shifts toward a green approach concerning products it consumes. Investment in bamboo may take a while but, it is worth the time and effort to help establish quickly renewable resources that also help benefit the environment with better carbon exchange.